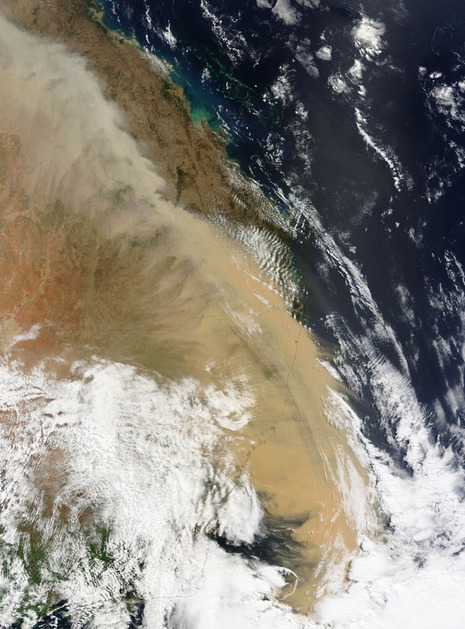 The huge outback dust storm that swept across eastern Australia on Sept.
23 smothering Sydney in red dirt was a stark reminder that after 221 years of white settlement Australians still only cling to the edge of this harsh island continent. Australians love to promote the idea that they live in a sunburnt country, of rugged outback cattlemen and ancient Aboriginal culture, but for most Australians it’s a myth. 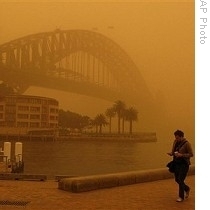 A huge cloud of red dust driven by gale-force winds is choking Australia's biggest city, Sydney. Residents have described scenes from a Hollywood disaster movie after waking to an eerie dawn. The suffocating haze has shrouded some of Sydney's most recognizable landmarks.